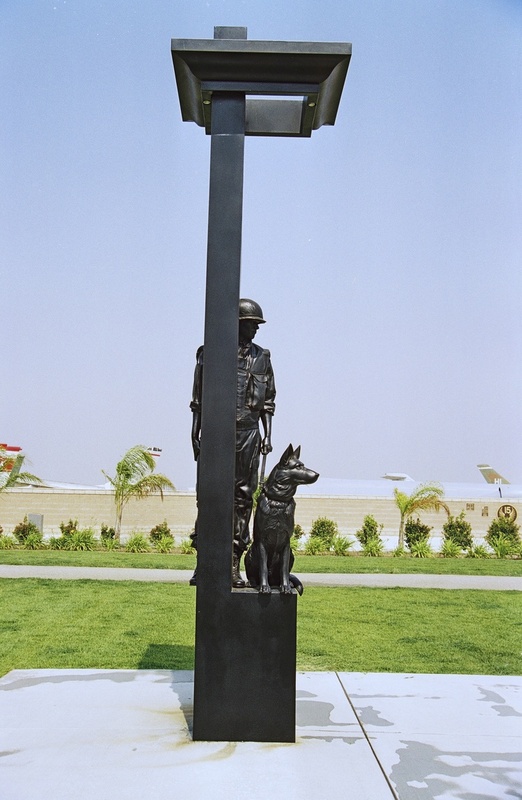 The War Dog Memorial, as I created it, is meant to illustrate the bond between humans and their canine friends. Second, and most importantly, it is to illustrate the sacrifice that these two figures have made under combat circumstances. We all owe a debt of gratitude to the men and women who have served and are serving to protect our rights of freedom. 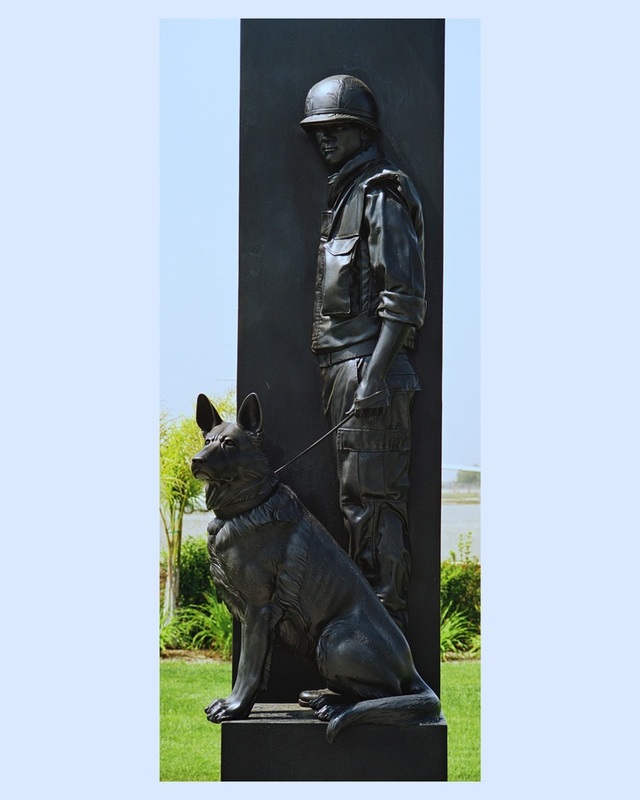 The assistance of “man’s best friend” has played a major and unforgettable role in this pursuit.